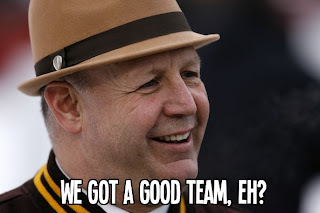 After finishing first in the division last year with a 10 point lead over Ottawa is there any chance the Bruins fail to repeat as Northeast champs? First off is the Marchand, Bergy and Seguin line. After playing together last year this line combined for 186 points and combined plus minus rating of +101. This line will shine for the B’s this year and should produce the most points out of any line. Next is the Luch, Krejci and Horty line. Arguably the best second line in Hockey these guys will contribute just as much if not more than the top line. The third line will feature center Chris Kelly and right winger Rich Peverley. The vacant slot on the left wing will be up for grabs during the pre-season and could be shuffled throughout the year. Everybody seems to be rooting for Chris Bourque because of his familiar last name but the 26 year old Boston native lacks NHL experience and production. In Bourque’s five years in the Pros he’s only appeared in 33 games and has registered only 4 points (1 goal and 3 assists). With Jordan Coran sidelined with an “upper body injury” I think Danny Paille will start the year with the third line. His hustle and NHL experience as well as his familiarity with the team should make it easier for him to earn the spot in training camp. Also look for youngsters Lane Macdermid the 6’3 lanky 23 year old and Justin Florek who clocks in at 6’4 200 pounds to get a shot at playing left-wing for the B’s this year. The fourth line will continue to grind out shifts and bang bodies like they did last year. The left wing position will likely rotate early in the season due to the hole in the third line but the core of Greg Cambell and Shawn Thornton will remain intact. The two veterans have played in nearly 1000 NHL games combined and continue to give the Bruins high energy shifts that allow them to rest the top 2 lines and keep them fresh for the third period. The Bruins top two defensive pairings will remain the same as last year and I couldn't be more excited about them. Chara and Boychuck will be the starters at the point. Skill, toughness and blistering slap shots will make these two defenseman one of the best pairs in the game. They combined for 67 points last year and will continue to contribute offensively as well as defensively this year. Veterans Andrew Ference, 33 and Dennis Seidenburg, 31 will be the second line defensive pairing for the B’s. These guys spent last year playing beside each other and look comfortable on the blue line together. Neither of them brings a strong offensive presence but their brut toughness and ability to moves guys around in front of the net make them a solid set of defenders that can get the job done for the black and gold. Adam McQuaid is on the shelf until February. This opens up roster spots for the Bruins 5th and 6th defensemen. It appears the 19 years old Dougie Hamilton is ready for the big leagues and will get a shot with the team. The hype over Dougie has been huge since they drafted him 9th overall in the 2011 draft. Dougie is 6’5 200 pounds and brings almost as much offense to the table as he does defense. Last year with the Niagra Ice Dogs of the OHL Dougie put up outstanding offensive numbers. In 50 games he scored 17 goals, had 55 assists and was +37. I wouldn’t be surprised to see Hamilton paired up with Seidenburg on the second line of defense within a couple weeks of the season starting. Matt Bartowski will also be in the mix for the 6th spot. The 5th year player had 22 points in 50 games for the Baby Bruins last year and will look to get some work with with the big club this year. Tuukka Tuukka Tuukka. This is it. This is what we have all been waiting for. Can Tuukka Rask carry this team to the cup? I think he’s ready to become a number 1 starter and he thinks so too. If Rask can transform back into the brilliant goal tender we saw in 2010 he will be very successful this year. 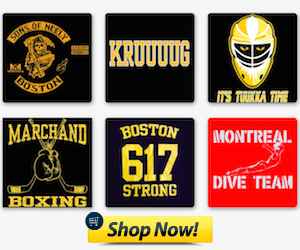 Tuukka has a great team in front of him and should emerge as an elite puck stopper in the NHL. That being said the Bruins should have no problem winning the division and locking up at least a 3 seed in the post-season. 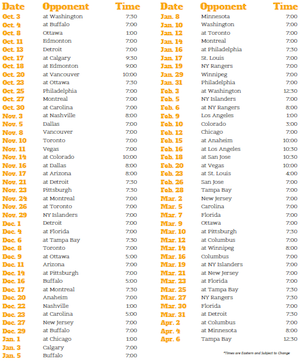 The only thing that could really screw this up is a Tuukka Rask groin pull/tear followed by a Nathan Horton concussion and a slew of other injuries. 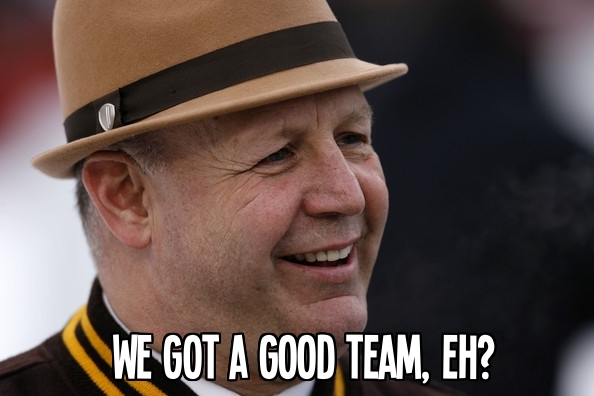 If the Bruins stay healthy they are a lock for the Northeast title and will be a legitimate contender for the Stanley Cup.